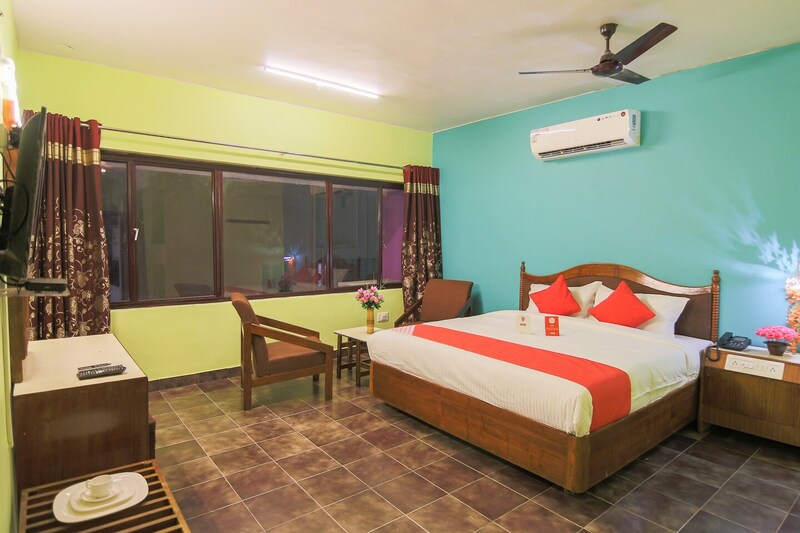 OYO 10709 Hotel SBT is ideally located in the heart of Visakhapatnam. A perfect choice for the business and leisure travellers, the hotel offers quality comfort at unbelievable prices. For any kind of assistance you need in relation to your stay, our skilled and friendly staff is just a call away. From regular to exceptional, you will find all the amenities such as AC, Complimentary Veg Breakfast, Geyser in your room ensuring you have a pleasant stay. Wander around the city visiting its top attraction like Dolphin'S Nose, Sri Varahalakshmi Narasimha Swamy Vari Devasthanam and Ins Kursura Submarine Museum. Come back to rest your head in OYOs peaceful environment. Do not fret if you run out of cash. Theres Andhra Bank, Induslnd Bank and Axis Bank ATM located at a short distance. Make memories in Visakhapatnam, while you enjoy a welcoming stay at OYO 10709 Hotel SBT.